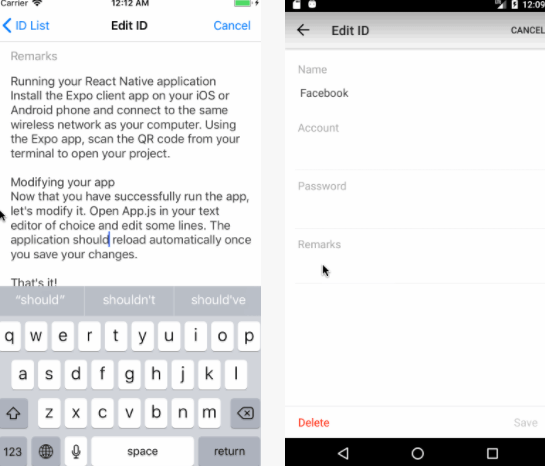 This is a text input scrollView component for React Native. When the keyboard pops up, the TextInput will automatically adjust to the top of the keyboard. When the keyboard pops up, the content of the ScrollView will not be obscured by the keyboard. When multiline TextInput gets focus, the selected cursor will be automatically adjusted to the top of the keyboard. When the multiline TextInput create new line, the new line will automatically adjust to the top of the keyboard. Put your finger on top of TextInput and slide ScrollView, when you lift your finger, the TextInput will not get focus.